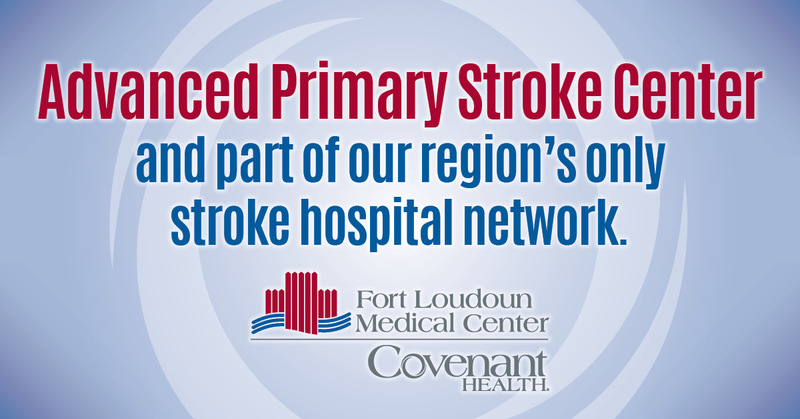 Fort Loudoun Medical Center, a member of Covenant Health, the region’s only stroke hospital network, is pleased to announce stroke-related certifications from The Joint Commission and the American Heart Association/American Stroke Association. The medical center, located in Lenoir City, has received The Joint Commission’s Gold Seal of Approval and the American Heart Association/American Stroke Association’s Heart-Check mark for Advanced Certification for Primary Stroke Centers. Advanced Primary Stroke Center Certification recognizes hospitals that have demonstrated the greatest level of commitments to the care of stroke patients. As a part of the certification process, Fort Loudoun Medical Center underwent a rigorous onsite review earlier this year. Joint Commission experts evaluated compliance with stroke-related standards and requirements, including program management, the delivery of clinical care and performance improvement. Four Covenant Health hospitals – Fort Loudoun Medical Center, LeConte Medical Center in Sevierville, Methodist Medical Center of Oak Ridge, and Parkwest Medical Center in Knoxville – have received Advanced Certifications for Primary Stroke Centers. In addition, Fort Sanders Regional Medical Center in Knoxville has received The Joint Commission’s Gold Seal of Approval and the American Heart Association/American Stroke Association’ Heart-Check Mark in conjunction with renewal of the hospital’s Advanced Certification as a Comprehensive Stroke Center. The designation means that Fort Sanders Regional Medical Center continues to be part of an elite group of providers focused on complex and highly specialized stroke care. Nancy Brown, chief executive officer of the American Heart Association/American Stroke Association, congratulated Fort Loudoun Medical Center on receiving the designation. “Covenant Health and its member hospitals have clearly made it a priority to deliver high quality care to all patients affected by stroke,” she said. Stroke is the fifth leading cause of death and a leading cause of adult disability in the United States, according to the American Heart Association/American Stroke Association. On average, someone suffers a stroke every 40 seconds.